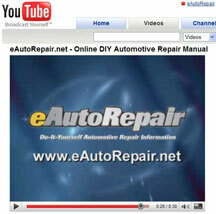 POWAY, Calif. – Nov. 12, 2012 – Mitchell 1 announces its DIY (aka eAutoRepair.net) for automotive do-it-yourselfers has been updated to include repair information for 2011 vehicle models. With repair and maintenance information on over 23,000 vehicles, Mitchell 1’s popular DIY online program features over 330,000 repair articles, thousands of technical service bulletins, including recalls, and millions of supporting graphics. The Mitchell 1 DIY program is easy-to-learn and use, with simple instructions on each page and the option to get detailed instructions by clicking on the “Help” link. Subscriptions are available for monthly, yearly and four-year terms. The Automotive Aftermarket News. Mitchell 1 DIY offers special promotion for fifth anniversary. Mitchell 1 is celebrating the fifth anniversary of its Mitchell 1 DIY program (aka eAutoRepair.net) by offering a special promotion. For a limited time, when automotive do-it-yourselfers sign up for a month of Mitchell 1 DIY for only $15, they will receive an additional week of service for free. "It's hard to believe that five years has passed since we first introduced Mitchell 1 DIY to automotive repair enthusiasts," says Dave Rady, senior account manager, business development, Mitchell 1. "Since the beginning, we've continued to build the program by constantly adding new material to make Mitchell 1 DIY the place for do-it-yourselfers to go for instant access to the very latest in auto repair." Mitchell 1 DIY provides professional instructions and illustrations that guide subscribing users through step-by-step mechanical repair procedures, complete maintenance information and service schedules, and the latest factory service tips, including recalls and 86,000 technical service bulletins (TSBs) with 197,000 supporting graphics. Mitchell 1 DIY gives instant access to more than 169,000 repair articles and more than 3.9 million supporting graphics in the database, and the ability to print the very latest in auto repair. The Internet-based service covers all domestic and most import cars, light trucks, vans, mini vans and SUVs, with more than 13,000 vehicles in the database for model years 1983-2011. Vintage models are available via DVD. The Mitchell 1 DIY program is easy to learn and use, with simple procedures, specifications and graphics throughout the program. Subscriptions are available for monthly, yearly and four year terms. For more information or to subscribe, visit www.mitchell1diy.com or www.eAutoRepair.net.